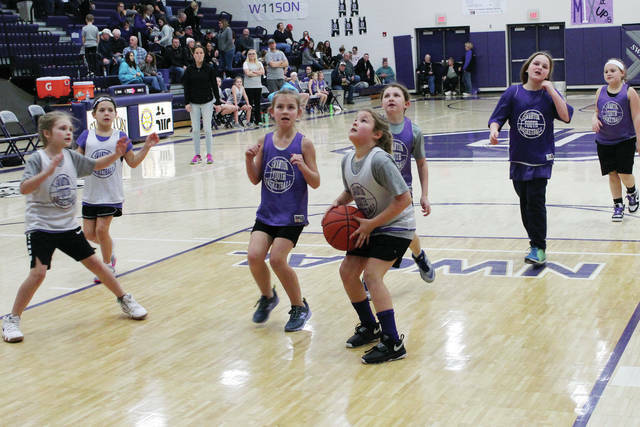 Swanton recreation girls basketball players got a chance to compete in front of a larger than normal crowd on Friday. They took the court during halftime of the high school girls basketball game against Bryan. Swanton recreation girls and boys basketball teams can be seen on multiple occasions during halftime of high school games this season, in addition to the their normal schedule. https://www.swantonenterprise.com/wp-content/uploads/sites/23/2019/01/web1_Rec-girls-hoops-2019.jpgSwanton recreation girls basketball players got a chance to compete in front of a larger than normal crowd on Friday. They took the court during halftime of the high school girls basketball game against Bryan. Swanton recreation girls and boys basketball teams can be seen on multiple occasions during halftime of high school games this season, in addition to the their normal schedule.